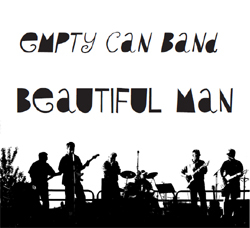 The new CD from the Empty Can Band – Beautiful Man is available at Kiss the Sky Records in Geneva, IL. It is also available for download on CD Baby – and hard copies will be available there soon. Email us if you want to meet up with us for a copy. You can always purchase a copy at our shows.